Welcome to the When To Worry Study! 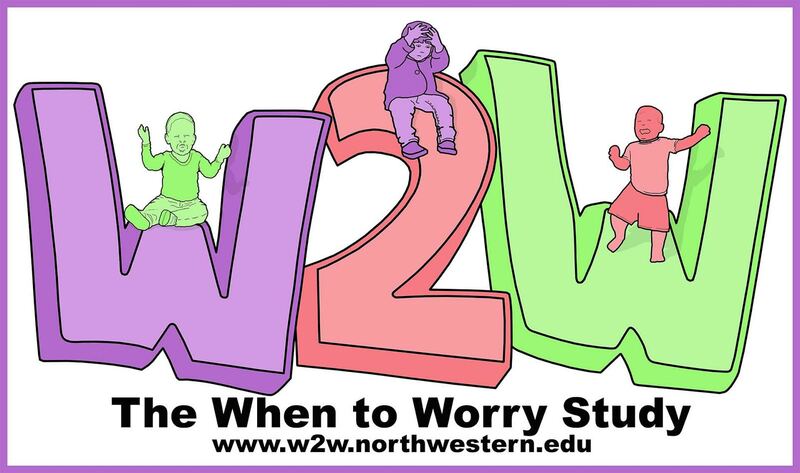 When to Worry (W2W) is a research study being conducted within Northwestern University’s Feinberg School of Medicine. 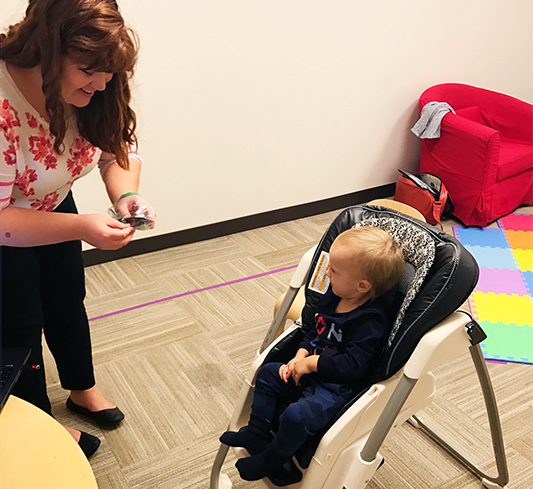 The goal of the study is to learn about the development of behaviors and emotions in infants and toddlers. As young children develop new skills, they often get angry or irritable, and may have tantrums, especially when frustrated or upset. For most young children, these behaviors or moods are normal and mild. For other children, these may be harder to deal with and may disrupt home and family life. In this study, we hope to identify early signs of when these behaviors or emotions impact young children’s development. To determine how young children’s behaviors and emotions impact development, The When to Worry Study follows young children from their 1st to their 3rd birthday. 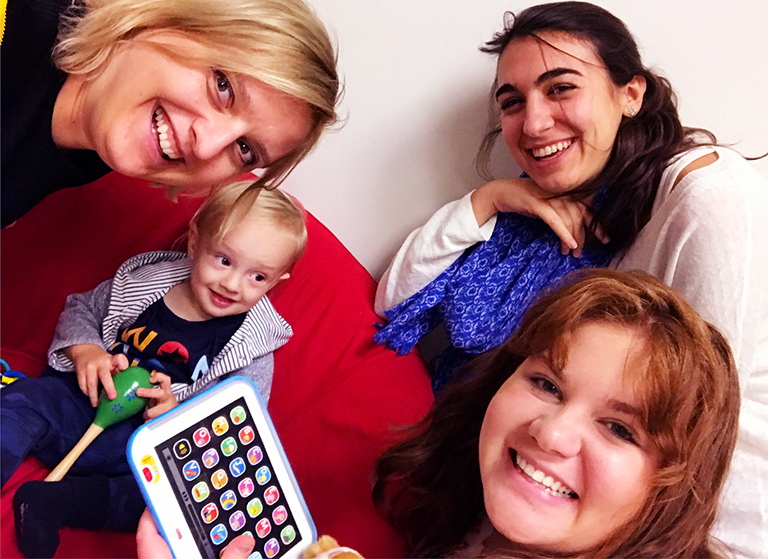 If you are invited to participate, you and your child would come to our Child Development Center, located at the Northwestern Chicago Campus, once per year to complete activities and interviews. We will also check in with you every two months through the completion of The W2W Surveys and the Pocket Language Recording . Completing the W2W Surveys helps us to get to know you and your child and stay updated with any changes in between your yearly visits. The Pocket Language Recorder is a small recording device that your child would wear in a small vest for one day every other month and records your child’s language environment. By participating in the When to Worry Study, you will find out useful information about your child’s development. After each yearly visit, you receive a report with highlights about all the developmental areas that your child is doing great in. You also receive a report every two months letting you know the number of words your child hears per day and the number of words they say per day, so you can track your child’s language development for that important two year period! Are you and your Child eligible for The When to Worry Study? If your child is between the ages of 9 and 15 months and if English is the language mostly spoken in your home, you might be eligible! Please complete the following W2W Survey to see if you and your child are eligible for the study!